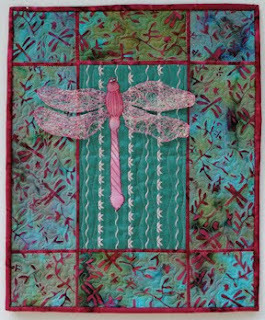 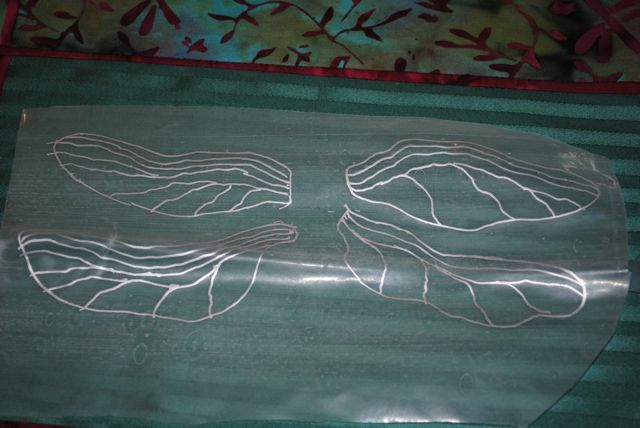 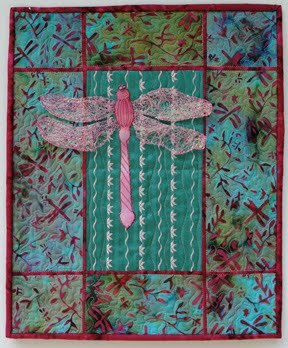 For my Dragonfly art quilt, I wanted to have wings that fluttered and were transparent. 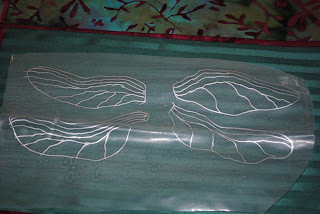 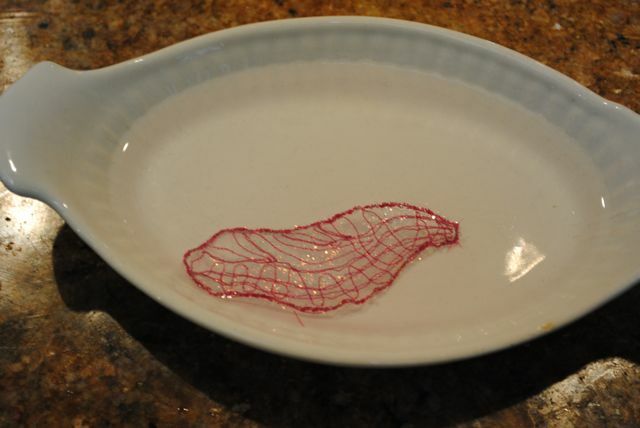 To accomplish this, I used some Sulky water soluble stabilizer, angelina fiber and thread. First I drew an outline of the wings and veins on the stablizer. 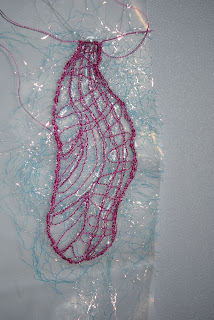 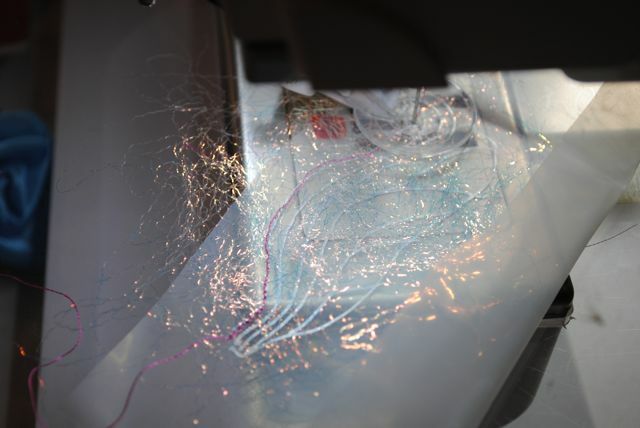 Next, I fused angeline fiber and placed it over the stabilizer and then sewed in the outline of the wings and veins. 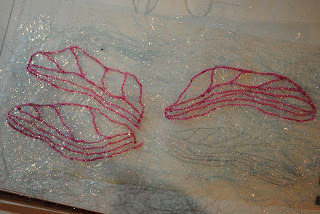 Here is what the wings looked like at this point. Then I dissolved the stabilizer in water. I then arranged the wings on the body and appliqued to my base. Here is how it all turned out!